For the second time in two years, a popular eatery on the Cooper River in Pennsauken is getting a new owner. The Cooper House, which closed abruptly in November, will become LaScala’s Birra. For the second time in two years, a new eatery is opening in an old location on the Cooper River. The LaScala Restaurant Group plans to put its stamp on the once-popular spot with pizza, artisan Italian food, and beers from around the world. Based in Cherry Hill, the group operates restaurants in South Jersey and Philadelphia. "We're hoping to continue our success," Rob LaScala, who heads the group, said Wednesday. 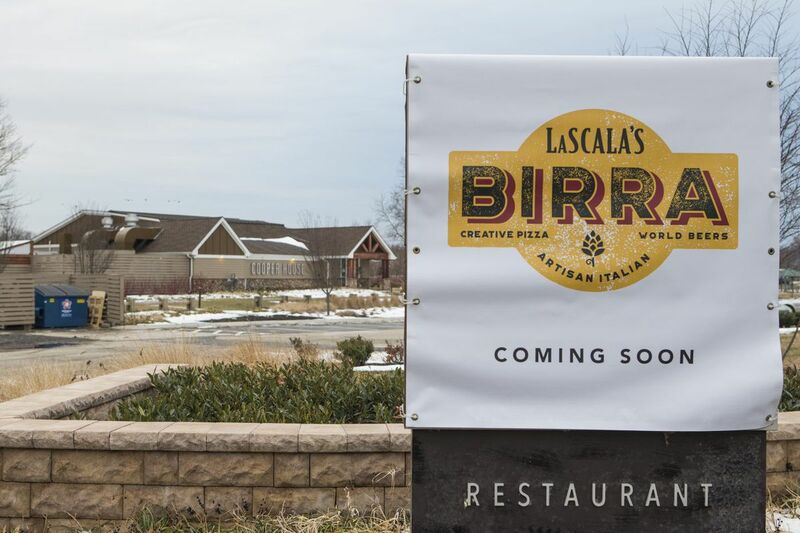 The new restaurant, LaScala's Birra, could open by Jan. 20, pending liquor license approval. A soft launch is planned with a more formal grand opening likely in the spring, he said. This is the latest effort by Camden County, which owns the restaurant building, to attract more visitors to a recreation area that pumps millions into the local economy. "It's a great amenity," said Freeholder Jeffrey L. Nash. "Tens of thousands of people use the park." Formerly known as the Lobster Trap, the restaurant, with a spectacular view of the Cooper River, was a draw for outdoor enthusiasts, who flock to the park, known for its canoeing and rowing courses. Outside seating made the Lobster Trap an attraction in warm months. Longtime operator Tom Delimaris, who offered a modest menu of fresh seafood at an affordable price, died in 2013 and the restaurant closed. After a nearly $3 million transformation funded by the county, the restaurant was reopened as Cooper House by the KTMK Group with great fanfare in June 2016. Restaurateur Kevin Meeker, also the owner of Keg & Kitchen in Haddon Township, teamed up with Michael DeBenedictis. That place was shuttered in November and LaScala took over the two years remaining on the county's lease with KTMK, said county spokesman Dan Keashen. Terms of the deal between KTMK and LaScala were not disclosed. LaScala agreed to honor gift cards and parties booked by Cooper House. Under the lease, the operator will pay the county about $5,500 a month and a portion of sales, Keashen said. The restaurant work was part of a $23 million project by the county to change the landscape of the 374-acre Cooper River Park by adding amenities to appeal to outdoor enthusiasts. Included was a $10 million dredging to deepen the Cooper River, which is the site of a number of national and collegiate rowing championships. The river reopened last spring to yacht clubs and rowers. The county spends to plan spend about $5 million this year for new public restrooms, bike lanes, picnic areas, walkways, docks, viewing stands, and renovations to Jack Curtis Stadium, Nash said. The 6,572-square-foot LaScala Birra is on the river's Pennsauken bank and has a 120-patron indoor capacity. It will be open initially for lunch and dinner daily. Unlike the last establishment, it will have TVs at the bar, LaScala said. Patrons had complained about being unable to watch sporting events. LaScala said he was optimistic that the newest venture will catch on. The restaurant group also operates LaScala's Fire at the Promenade in Evesham, its flagship property, LaScala's at Seventh and Chestnut Streets in Center City, and LaScala's Pronto pizzerias in Mount Laurel and Philadelphia. LaScala said the Cooper River restaurant will offer the same menu as LaScala's Birra on Passyunk Avenue. The offerings will include pizza, meatballs, pasta dishes, salads, and appetizers. There will also be a beer garden and an outdoor pizza oven. The building dates to the creation of the park in the mid-1930s.